Oh Deb, these are ALL FANTASTIC. I love the crispness and the simplicity ;D Great week, Girl! It has been so dark, cold, rainy, and gloomy here that I'm totally envious of your warmth & light in these pictures. love the walk in the woods - thanks for clarifying it was due to skeeters! but fall's on the way! Love them all - the flowers are my fav!! Great snapshots! I like them all. Have a great day! Wow deb. These are amazing. Those flowers are beautiful. The mosqitos are horrible here too. Thanks for linking up. Have a great weekend friend. So lovely! The arches, my eyes keep coming back to the arches - great juxtaposition. Awesome, Deb! Looking at your photos, I feel like I am right there. Great job, as always! Looks like a just right fall week!! Enjoy the weekend! Still completely ADORE that cupcake!! 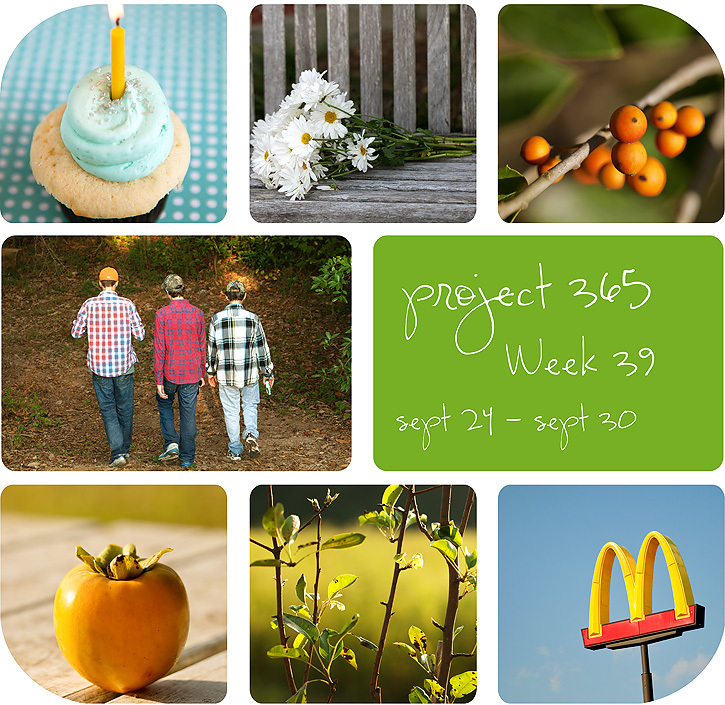 Another great week of photos! Love the berries and the persimmon. And the lighting on the leaves is gorgeous! Your photos look very wholesome. We share the same birthday week, so you must be a good person! I have never had a persimmon. Maybe I should figure out where I can find one. Love them all! As ususal. :) The persimmon definitely brings back memories. My grandpa had two trees and would literally have thousands. You could open any family freezer and see the piled up! Awesome as usual. Beautiful flowers. They are my mothers favorite so I grew up with them around everywhere. Good for your boys covering up to fight the bite!